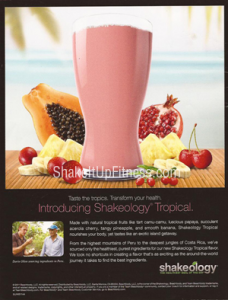 Let me introduce to you Shakeology Tropical, the newest flavor! Taste the tropics and transform your health at the same time. Tropical is the latest flavor to join chocolate and greenberry in the near future. Made with the natural tropical fruits like tart camu-camu, luscious paypaya, succulent acerola cherry, tangy pineapple, and smooth banana, Shakeology Tropical nourishes your body, yet tastes like an exotic island getaway! 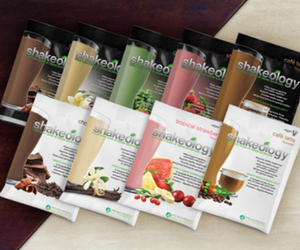 From the highest mountains of Peru to the deepest jungles of Costa Rica, only the healthiest, purest ingredients are sourced for the newest Shakeology Tropical flavor. 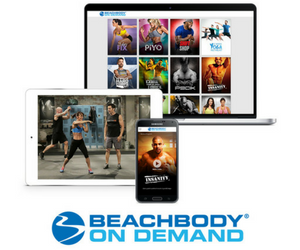 Beachbody took no shortcuts in creating a flavor that is as exciting as the around-the-world journey it takes to find the best ingredients. I had the chance to taste Tropical at the Beachbody Coach Summit this weekend and it was amazing! I love it!!! Available late 2011 or early 2012!